Henry J. Donner is of counsel to the firm. Henry concentrates his practice in construction law. He has decades of experience counseling and representing those in the construction industry: real estate developers, condominium associations, contractors, subcontractors, architects/engineers, and construction contractor associations. Henry also applies extensive industry knowledge to the management and efficient resolution of virtually any problem that might arise in the course of construction from start to finish. He also skillfully negotiates multi-party disputes over cost estimates, design errors, defective installation and contract details. Contractors and their associations rely on Henry to represent their trustees on retirement, health, training and vacation plans. Henry’s professional network puts him in the forefront of multi-employer/union benefit plan practice which covers matters such as health cost containment and management of liability associated with employers’ contributions to pension plans. 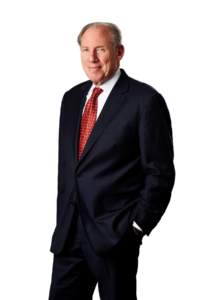 Henry joined the firm from Jacoby Donner, a prominent construction law firm in Philadelphia. Henry was a named shareholder of Jacoby Donner for almost 40 years. Limited Liability Companies – an Alternative to Joint Ventures, Building Profits, a publication of Construction Financial Management Association. Lending Institution Liability to Contractors After Foreclosure on a Construction Loan, The Philadelphia Real Estate Lawyer, a publication of the Real Property Section of the Philadelphia Bar Association. Third Circuit Limits Construction Arbitration Rights, The Construction Lawyer, a publication of the Forum Committee in the Construction Industry.